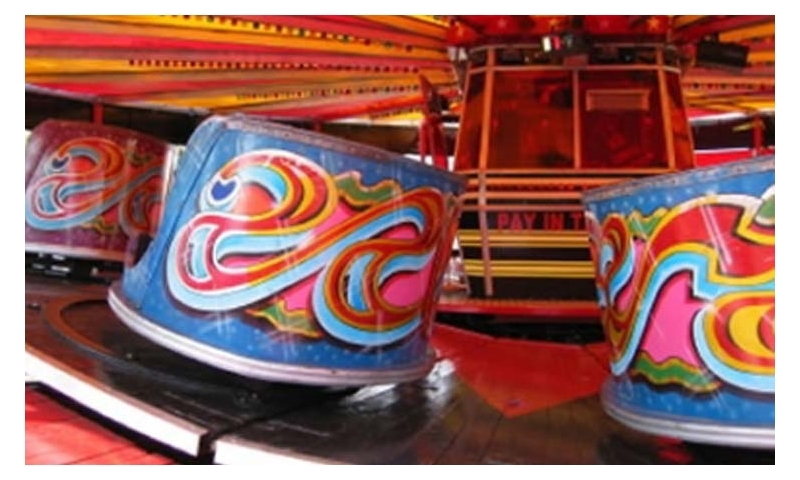 The waltzer is still one of the most popular rides at the fair. 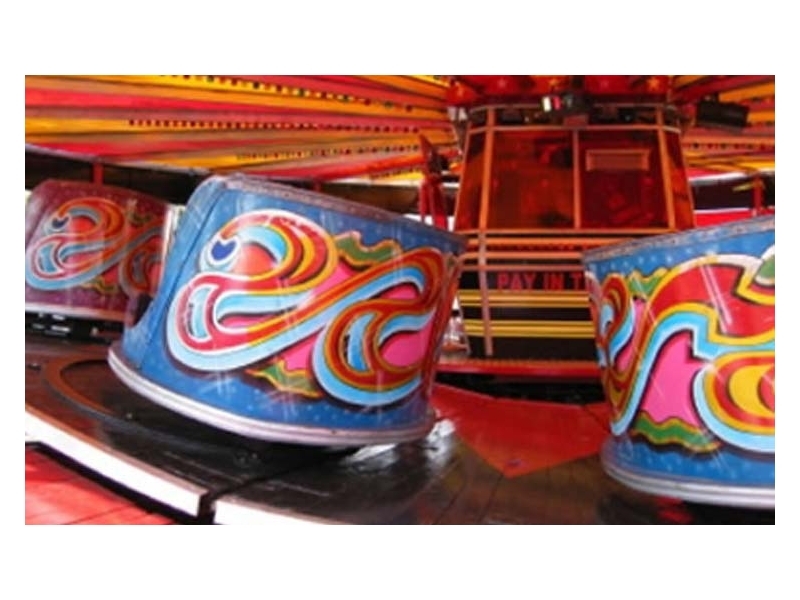 This ride appeals to all ages, families and teenagers. 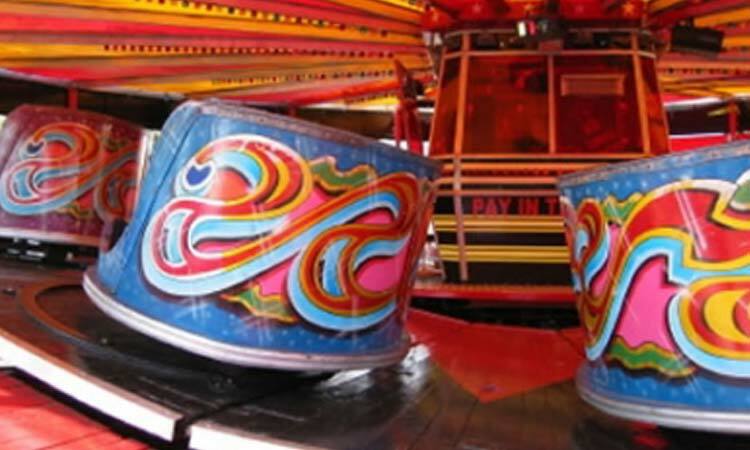 This ride is the new generation in waltzers the appearance is much more attractive than the traditional wooden machines and a bigger thrill. Because the machine is hydraulically driven the hills are much steeper and the cars spin with greater force making the whole experience even better. Capacity 50 persons per ride.